Full album purchases include one hidden track. All downloads are HQ audio: FLAC files are 24-bit; MP3 files are 320 kbps. 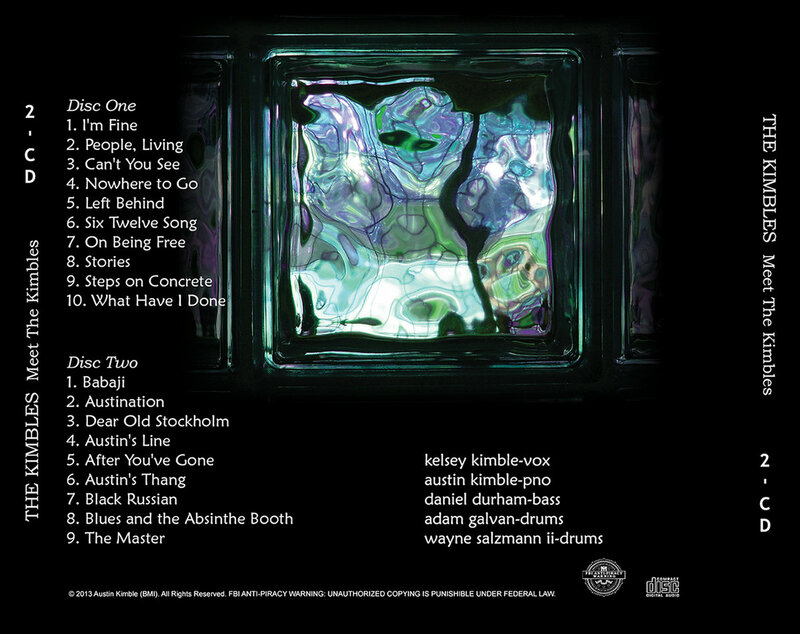 Comes with 2 compact discs in a clear jewel-case with beautiful artwork by Austin Kimble and Kelsey Kimble. Full album purchases include one hidden track. 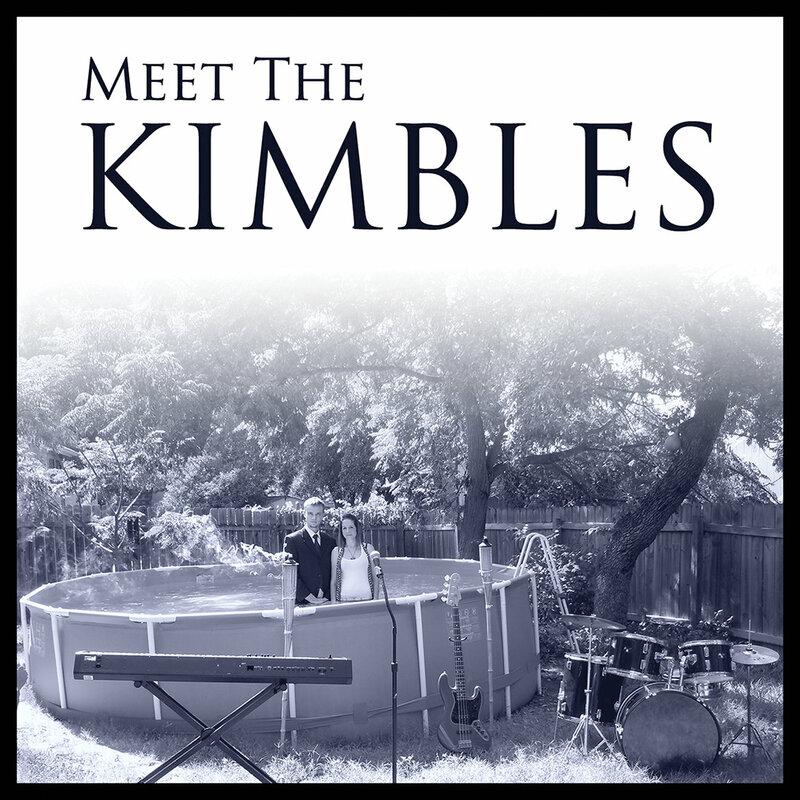 Includes unlimited streaming of Meet The Kimbles (2-Disc Set) via the free Bandcamp app, plus high-quality download in MP3, FLAC and more. 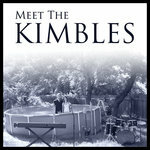 After a successful Kickstarter campaign in Spring '13, The Kimbles recorded a 2-disc set of original music: rock & jazz. The Kimbles' new album, "Meet The Kimbles," is available 10-10-13! The world is changing, so am I. It makes me feel like I could cry - I’m fine. I was awake, but with closed eyes. I opened them what a surprise - I’m fine. That’s not all. I’m not through. I’ve got more to say to you. If anything just more prepared. Desperate times make desperate people. I’m just trying, I’m not evil- I’m fine. It’s hard to breath and sleep at night. But still I can’t keep up with you - I’ve tried. Until there is nowhere to go - alright? I wondered if the stars might see me, but the sky it couldn’t read me. It told me just to play. And hope to fall asleep. And showed me how to dream. Invite me just to stay. And never to say a word - no never to say a word! I saw the road you take but quickly turned away. Or so it seems to be. We laugh so hard, but it’s not funny, or is it funny? Turn around, see, this world is beautiful. Now, I’ve found, we’re just people. We’ll never say a word. Our vision was so blurred. We’ll never say a word. Colors dancing ‘round me in my head. Sitting on the sofa looking dead. Don’t mind me, I’m in my paradise. Can’t you see that we’re as good as dead? Used to watch the cloud float through the sky. No one else around me seems to care. Can’t you see that something isn’t right? Standing in the kitchen, feeling mean. The food around me isn’t fit to eat. Walk back out and sit down in my chair. Can it be there’s nothing here for me? But the colors dancing ‘round me in my head. Entertain me if I’m looking dead. I’ll sit right here, enjoy the ride instead. Walk outside and put my rain boots on. So beautiful that nothing can be wrong. The birds outside wake up, sing to me. Can it be, I somehow know their song? Or I can change your mind for your instead. Come with me, into my paradise. I feel like I’m left behind for the last time. It crossed my mind. You crossed some line. I’m left behind for the last time. Don’t really know. Can’t really say. Why should we both waste another day? I think I’d be alright. Can’t even lift my eyes. I look straight ahead, refuse to shut my eyes. Not ready for it to fall. Can’t even catch your eye. To prove that I’m alive. Still time for me to try. Got to be brave. I know I can be. Can’t always run away from everything- yes indeed. While the world sits back and laughs at me, to the tune of some other guy’s song. But I think I’ve come to know me, to feel the grip of my own hand. Not just to know, but to understand. Now why did it take so long? I’m not so bad, you see. Just wild and free. Can you forget your fears and come outside and play with me. Instead of always running away from me. I promise I’ll show you some fun. You’ve got a lovely mind, and I’ve been a dreamer too. Can I just stand right next to you? I think that we both could be one. And when I catch the seven wonders, a story I will spin. I’ll write of singing birds, whispering trees, and how it all begins. La la la la, la la- la la, la la. Cause it’s nothing I’ve not heard before, you can hear it in their cry. Makes us forget our words, like I regret mine. Your love, lift my hands to take it in. Try to catch it again and again. I won’t let go. For the hundredth time in my life. That we got this far is a mystery. Ah, love, can’t they see it in my eyes? They just missed it? No surprise. I’ve heard that before. But why I always push you away, I’ll never know. Love, I’m a fighter now for you. Yell and scream ‘til I turn blue again and again. If that was all that I could do, so let’s just stay friends. Not the way it was before. I knock and hope you’ll let me in. When you don’t answer my head spins. What’ve I done? What’ve I done? And I cover my surprise. The look of pain that your eyes flash.